Lengard is a secret government facility for extraordinary people, they told me. For two years, six months, fourteen days, eleven hours and sixteen minutes, Subject Six Eight Four, Jane Doe, has been locked away and experimented on, without uttering a single word. As Jane’s resolve begins to crack under the influence of her new and unexpectedly kind evaluator, she uncovers the truth about Lengard’s mysterious program, discovering that her own secret is at the heart of a sinister plot... And one wrong move, one wrong word, could change the world. Transferred from a psychiatric institute and forced into isolation, Jane Doe has remained silent despite the invasive experimentation throughout the underground facility. Disciplined in the artistry of combat, patient six eight four endures experimental procedures to fracture her fortitude. Landon Ward is an abnormally, a kind and compassionate young man and considers Jane as his intellect rather than an allocated number. The violation and exploitation of Jane Doe is confrontational, especially throughout her intensive mandatory appointments with Doctor Vanik. Throughout her narrative, Jane endures elective mutism to control her environment, determined to conceal her identity from her captors. Landon Ward is disarming, often morally ambiguous and although Ward appears compassionate, he continued to manipulate the young woman in his company. The Exodus Project facilities Speakers, genetically altered humans that possess abilities. The introduction of the Speakers is an interesting concept, children born to parents of Speaker lineage or participants of the Lengard initiative. Women inoculated with a fertility serum, offspring abilities manifesting throughout their adolescent years. Opposed to the invasive tactics, a rebellion attempts to capture Speakers, educating adolescents of the Exodus Project to encourage informed decisions. Although the rebellious Remnants are forthcoming and provide Jane with information about her identity and infiltrated informants, Jane is reluctant to place her faith within either faction, wisely. The Remnant rebels introduce Jane to Kael, a young man versed in the torturous conditions of the initiative and the consequences of escape. The presumed romance is virtually nonexistent. Landon is physically attracted to Jane Doe, although rebel Kael seems to share a familiarity with the mysterious young woman. I appreciated that Jane is on a journey of discovering her identity, romantic expectation is excluded within her narrative and her unease and fragility a priority. I enjoyed the character of Camelot, a gentle, tender young woman and contrast to sibling Landon. Camelot is a wonderfully serene influence, encouraging Jane and assists her in non verbalised communication. Their tentative friendship a lovely aspect of the narrative. The large paragraphs of information throughout the latter chapters is overwhelming as the mystery surrounding Jane occupied the duration of the narration. The use of the affectionate term princess felt condescending rather than demonstrating a character familiarity. 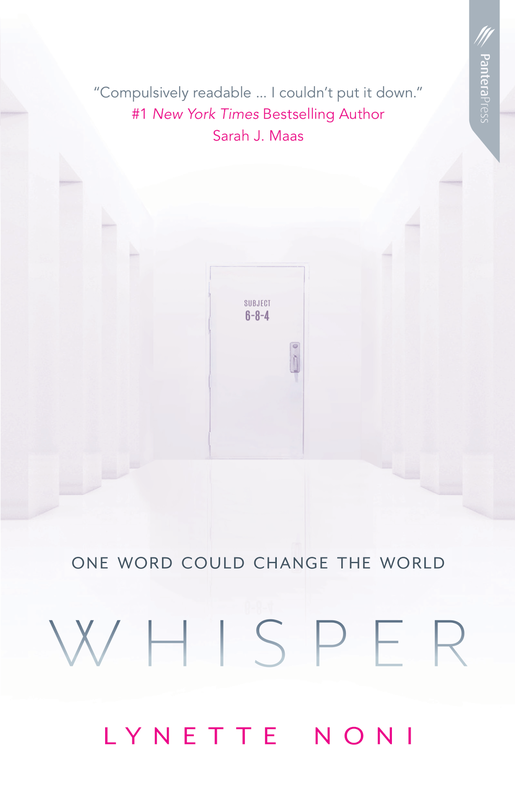 Whisper is a captivating and charismatic read, blending traditional young adult science fiction with compelling characters and a familiar storyline. Thoroughly entertaining. Thoughtful review, Kelly, and in particular that the romance is nonexistent bc there is so much else going on. The experimentation on Jane gives me pause though. I don't know if I could handle that. Was it a big part of the book? It is but luckily not in detail. The experimentation is delving into her mental state and she describes it as being invasive and often painful but it isn't detailed in description and there are no physical side effects. I really enjoyed the non existent romance, it would have been too soon in the narrative to introduce a love interest given her fragile mental state and discovering her identity. It was handled with compassion and care. Thanks for sharing the parts of the book that you weren't really a fan of; I do always appreciate that. It sounds like Whisper is a good one all around though and I like that it doesn't feature too much of a romance. It seems like it does just fine without too much of that aspect! It really does. The narrative is leading to a possible love interest or perhaps interests further down the line but I'm glad it wasn't a factor in Whisper. It was a thoroughly entertaining read and quite enjoyed it. that cover is creepy, I wonder if Jane Doe had a name before becoming a number? She certainly does Ailyn and that's part of the intrigue, who is the girl they refer to as Jane Doe. I really enjoyed the mystery aspect of the narrative. This sounds like something I would enjoy Kelly. I'll have to check if my library has it. As far as I'm aware, it's only been released in Australia but is available on The Book Depository. Perhaps inquire at the library and see if they might be able to import a copy. Fingers crossed. It was previously available as a read now option on Netgalley as well. Hmm... interesting. I really like the cover since it gives off a creepy vibe while remaining simple and true to the story (at least from the synopsis and your review). I also like how the romance is implied but nonexistent - having one might feel forced from the sounds of it and completely unnecessary to the story. The romance would have most definitely had felt forced, especially because Jane Doe is still discovering her identity, forming a romantic partnership would have been the furthermost from her mind. A wonderfully entertaining read Sophia, looking forward to seeing what you think of it. It can be a bit of a hit or miss for me as well Vanessa but I think this one will appeal to fans of other genres as well. Ugh, I hate stories where they experiment on people and continuously violate them. It's so heartbreaking and makes me feel very violent. It's so wrong and invasive. A person's body is their own and nothing should be done to them against their will. Books that do this to children kill me. I don't know if this would be a book I'd enjoy, but it does sound interesting. I like that while someone found her physically attractive, the main character focused on herself and not some side romance. The elective mutism is interesting, and I would be curious about her thought process through all of this. I'm not generally one to read about characters who are still experiencing physical or emotional trauma but it was no descriptive and only a small aspect of the narrative, still important to the journey of Jane Doe. It's a great read and one you can probably ask your local library to buy a copy of, would love to see what you think of it. Oh wow, that is a lot to digest! Thank you for breaking this down Kelly, this sounds like it would read like a movie. I'm also kind of happy that there isn't a romance, it doesn't feel like it would match the tone. Yeah, I completely agree how uncomfortable the romance would have felt. There is something incredibly cinematic about the overall narration and really looking forward to seeing where the storyline is taken in the next installment! Luckily it was only during one particular section during the latter chapters, mainly due to the mystery surrounding the identity of Jane Doe so the wider explanations were a little overwhelming. Still an entertaining read regardless and really looking forward to the next installment. Well this sounds interesting, but also a little dark. The infodumps don't sounds appealing because I always end up skimming them and feel confused later on when I don't know what's happening, but I'm intrigued about Jane, I want to know more. It's not as sinister as it sounds really, as the narrative doesn't delve into details. I'm hoping that with the lengthy paragraphs of information, that we'll be reminded during the next installment what happened to Jane and the mystery surrounding the program as it was a bit too much to grasp all at once. Looking forward to the next one! I prefer her Medorian Chronicles in comparison but still an entertaining read nevertheless. Her talent most definitely lies within middle grade. She has a wonderful J.K Rowling sense of adventure. I received an unsolicited review copy of this book, which surprised me a lot since I'm not in Pantera's blogger database, haha. I thought it sounded interesting! Though it sounds like things got a little confusing for a blurb that's so simple. I'm glad you found it entertaining, Kell! Sometimes those kinds fo books are just what we need. I'm definitely interested in this one, since I am a fan of sci-fi along these lines. And I've never read a Noni book before so I might as well start somewhere, right? Thanks Chiara. Those publishers work in such mysterious ways! Definitely well worth the read. If you enjoyed the Shatter Me series, you'll enjoy this one. It shares a few of the same elements.